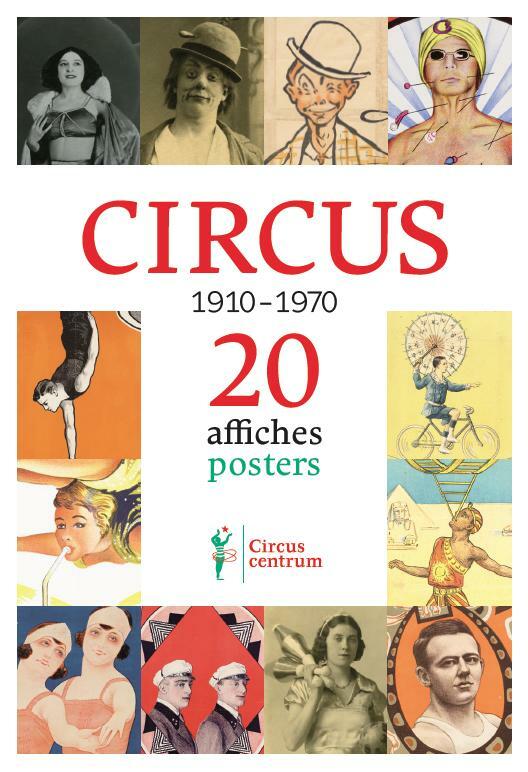 Circuscentrum has printed twenty large circus posters on canvas. They are reproductions of original lithographs and represent Belgian circus history of the past century. The posters, lithographs or photographs displayed are all from the collections of André De Poorter and the House of Alijn in Ghent. They represent Belgian circus history of the past century. Props and costumes as well as lithographs, posters and photographs are an important part of circus heritage in Flanders. The booklet includes information about the posters, lithographs and photographs displayed. Who are on it? When did these artists perform and where? They are all extraordinary people in an extraordinary trade.